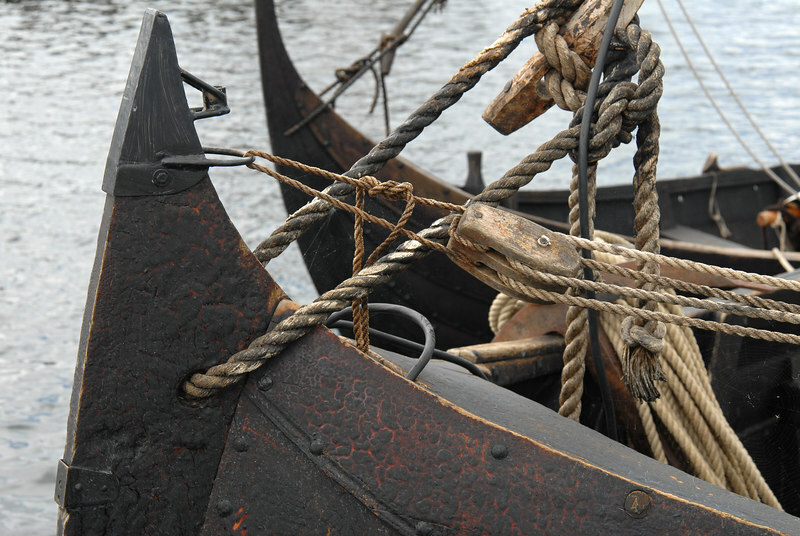 Prows of (replica) medieval vessels at Viking ship museum, Roskilde. Note the cobweb, presumably of Araneus nauta, the matelot spider. D200, 24-85.